Viva! Condemns Government Response to End The Cage Age | Viva! Help End the Cage Age! Last month Viva! joined forces with animal protection organisations around the country to launch a parliamentary petition calling for an end to the cage age. In the UK over 16 million farmed animals are confined to cruel cages and unable to express many of their natural behaviours as a result. The response has been overwhelmingly positive with more than 65,000 of you signing the petition in its first two weeks, more than half the 100,000 needed for a parliamentary debate! But there’s still a lot of work to be done. 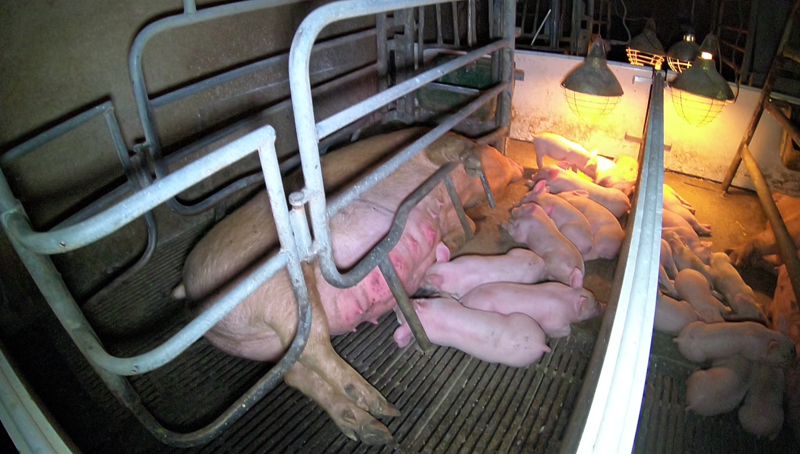 On 22 March the government responded by emphasising the successes of earlier campaign work to prohibit battery cages, sow stalls and veal crates, yet what they have failed to recognise is the wealth of scientific evidence demonstrating how so-called ‘enriched cages’, farrowing crates and calf hutches continue to compromise welfare and are detrimental to the well-being of farmed animals. Undercover investigators for Viva! 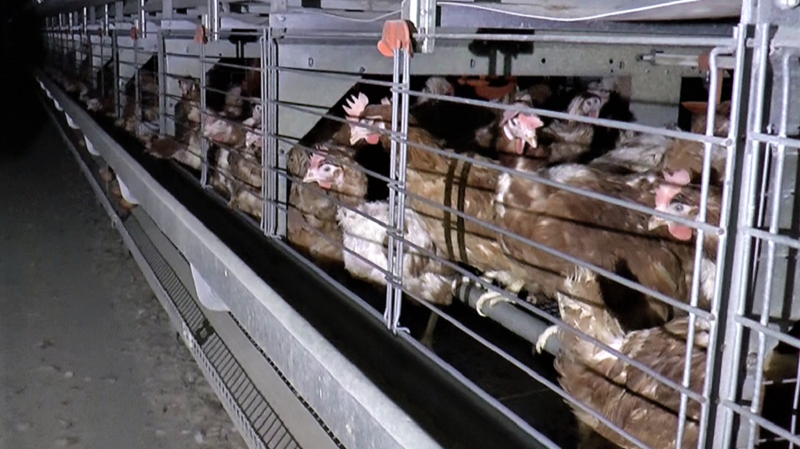 Campaigns have filmed the shocking reality of our ‘high standards of husbandry’ time and time again, and urged the British public to Face Off against these industries. We’ve found between 40 to 80 egg-laying chickens crammed into cages that provide less than a postcard size of extra space than the banned battery cage; pigs confined to barren metal barred crates with little room to move forwards or backwards let alone turn around (much like the old sow stalls); and frightened unweaned calves, some well over the recommended eight weeks of age, housed alone in hard plastic hutches – many without ‘visual and tactile contact with other calves’. The government’s disappointing response comes as no surprise when the current laws to protect farmed animals are few and far between. The regulatory system provides us no level of assurance and plans to increase the maximum penalty for animal cruelty from six months to five years leaves a lot to be desired when so many animal abusers walk free from court. Of course, the most powerful action you can take to end animal suffering, protect the environment and improve your health is to go vegan. For all the help and support you need to make the change see: viva.org.uk/easyvegan.